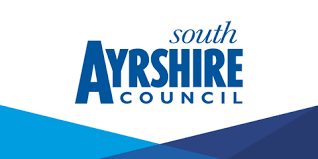 South Ayrshire Council is one of 32 local authorities in Scotland and is responsible for delivering a wide range of services to the public. With headquarters in Ayr, the local authority covers 242 square miles from Ballantrae in the South to Dundonald in the north. We are always looking to take advantage of new technology to deliver modern and efficient services and will support our employees in these new ways of working. As part of this, we will create a survey that will be distributed to all employees, to gain an understanding of the base level of digital skills across our Council. We will use this information to develop a digital strategy that will include ways to upskill staff who need help to learn essential digital skills. We will also encourage employees to become 'Digital Colleagues' who will form a network of employees trained to help others in their service and in the roll out of new systems and technology across the Council. We will be developing 'Digital Colleagues' who will be trained to assist other employees in developing their digital skills.